To help celebrate Read Across America, the Jr. BETA Club read to the Pre-K and kindergarten students. 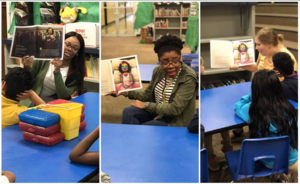 To celebrate Dr. Seuss' birthday, USM students from the Education Major Student's Association came to read "Bad Case of Stripes" to several classes. Each student received their very own copy of the book. 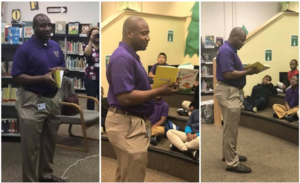 In the spirit of Read Across America, Dr. Robert Williams, the superintendent of HPSD came to Woodley to read a Dr. Seuss book to the students in Ms. Funderberg's 2nd grade class. 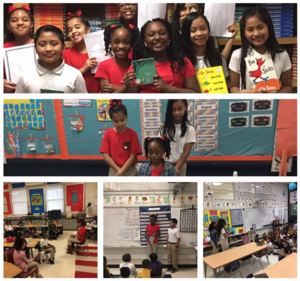 Thank you to the ladies of Pi Beta Phi for coming out and reading to the 4th grade and presenting them with an fun activity, cake and a free book of their choice. Calling all HPSD Parents, we need your help!